Explore the ever-blurring line between artistic endeavors and scientific techniques in this Art and Science video that looks at how modern technology is changing art. This 23-minute film brings your knowledge of art history and techniques into the 21st century. 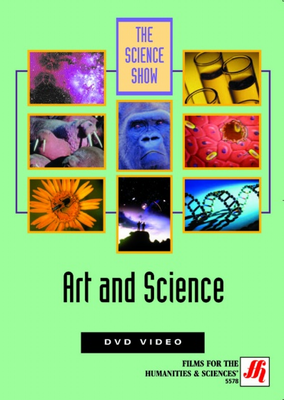 This Art and Science video introduces you to some of the techniques and technologies artists use that stem from scientific discoveries. From neon lights to sophisticated cameras, modern methods of creating art blur the distinction between what once seemed like disparate worlds. Whether you're an artist looking to add new techniques to your repertoire or an art history student learning about how art is currently changing in response to science, this video gives you insight into the processes that the two disciplines of art and science share. Choose from DVD or VHS formats and enjoy this 23-minute overview of the ever-changing technologies that continue to influence modern art. Check out a preview video to learn more.